Health officials hope the new program will ensure that homeless patients receive appropriate treatment and follow-up after leaving the hospital, while freeing up beds at Harrison Medical Center and reducing readmissions. 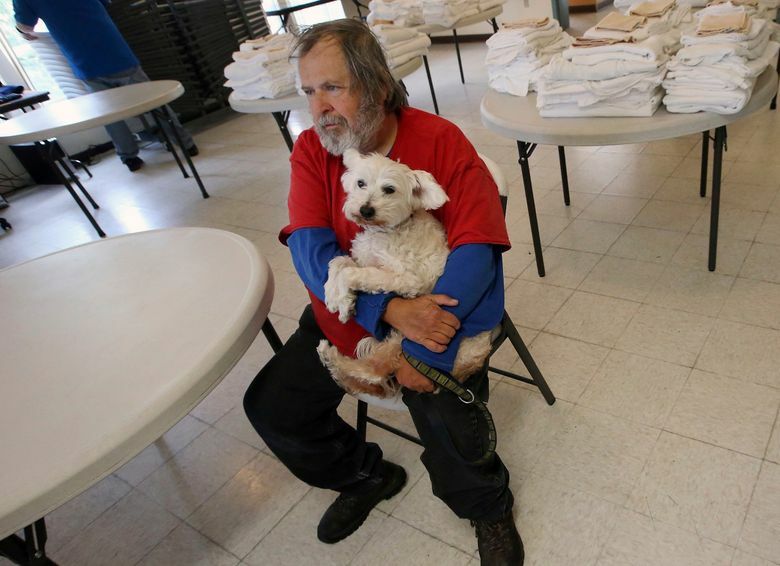 BREMERTON — Walter Jacque figured he was better off than most people without homes. Launched as a pilot project in July, the program was formed through a collaboration among Harrison parent company CHI Franciscan Health, Catholic Community Services and Peninsula Community Health Services. Harrison pays for three shelter beds at Benedict House dedicated to respite patients. For now, because it’s housed at a men’s shelter, the program is only open to male patients. Eight completed the program this summer. Supporters hope to keep adding beds in the county. “Although it doesn’t solve the affordable-housing crisis in our area, it does put one more piece into the complex puzzle of health care for the vulnerable in our society,” Peninsula Community Health CEO Jennifer Kreidler-Moss said in an announcement for the program. Health and social-services leaders worked for years to establish a respite-care program in the county. Creating housing for people discharged from hospitals was one goal of the Kitsap Community Health Priorities plan developed in 2014. Kitsap Public Health District Community Health Director Katie Eilers, who helped coordinate the project, said staff at the hospital and local shelters knew people without stable housing were being discharged with little chance of successful recovery. Tasks that can be simple for people with homes and families — such as following physicians’ instructions, keeping up on antibiotics, changing bandages or driving to checkups — become nearly impossible on the street. Homeless patients often cycle back through the emergency department. “They experience a high level of suffering when they can’t have that care outside the hospital,” Eilers said. People with nagging medical conditions are more likely to experience long-term homelessness, Waguespack with Catholic Community Services added. In a 2017 survey conducted by Kitsap County, 56 percent of respondents listed physical and mental-health problems as the primary reason for their homelessness. The problem creates complex challenges for hospitals as well. As a nonprofit hospital, Harrison’s mission includes providing care to everyone, regardless of their financial situation or housing status. Harrison Chief Nursing Officer Jeanell Rasmussen said people who are homeless frequently stay longer in the emergency department than their health conditions require because they don’t have a safe place to be discharged to. In one three-month period — from October through December 2016 — Harrison provided 22,344 hours of “avoidable” inpatient care to patients who were healthy enough to be discharged, a total partially attributed to homelessness. By providing respite care at Benedict House, health officials hope to ensure patients receive appropriate treatment and follow-up services after leaving the hospital, while freeing up beds at Harrison and reducing readmissions. “It’s the best service for patients and the community,” Rasmussen said. The Benedict House pilot project was modeled on a respite program Catholic Community Services established at its Nativity House shelter in Tacoma in 2017, in partnership with CHI Franciscan. The program was later expanded to accept discharges from MultiCare. Waguespack said the respite services are open to patients experiencing homelessness and victims of domestic violence who are healthy enough to be discharged from the hospital but not healthy enough to recover on the street. Those discharged into the respite care enter a 30-day program that provides them with round-the-clock lodging and support. At Benedict House, a community health worker from Peninsula Community Health Services assists patients in finding primary-care providers, obtaining health insurance, getting transportation to medical appointments, applying for food assistance and connecting to any other social services they may need. Waguespack said patients who complete the monthlong program join the nonrespite population at Benedict House and continue participating in case management offered at the shelter as they progress toward a stable living situation. As an affordable-housing crisis adds to the ranks of the homeless in many cities across the country, hospitals and social-services organizations are looking for ways to safely transition vulnerable patients out of inpatient care. The council provides training for groups that serve the homeless. Dobbins said training in respite care has become one of their most requested services. Washington State Hospital Association CEO Cassie Sauer said collaborative programs like the one at Benedict House are a positive step to address a diverse and difficult public health concern. Homeless residents are one of many patient groups that are more likely to remain in inpatient care longer than necessary because they face barriers transitioning to outpatient care. People with behavioral health conditions, people who live alone and a growing wave of seniors suffering from dementia are among those who will need safe housing and help managing their health conditions after they’re discharged from hospitals. At Benedict House, Walter Jacque is simply focused on resting and feeling better. He hopes to eventually turn his passion for leatherworking into a business that will get him back on his feet. In the meantime, the respite program is meeting his simple needs.